The history of dpb Baking Company stretches back to early 1900’s when the Ahsmann family opened a small bakery in Holland. That was the beginning of a family tradition of creating high-crafted baked goods. The love of great bread, fine pastries and decadent chocolates was passed down through the generations. Many years later, Jacques and Annemieke Ahsmann were drawn to Canada by the bright blue sky and the beautiful Rocky Mountains. 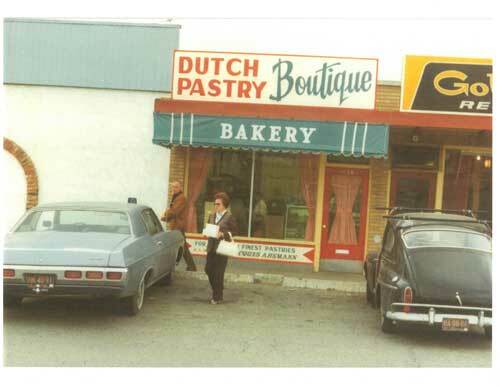 In 1974, they founded the Dutch Pastry Boutique in their new home, Calgary. Their two sons, Paul and Frank, grew up immersed in the family baking tradition and Paul continues this tradition today as the next generation at the Dutch Pastry Boutique. The family’s passion remains to provide customers with exceptional quality baking. Since its inception in 1974 as a small bakery on 4th Street NW, two things have remained a constant at the Dutch Pastry Boutique–the family’s devotion to baking great products and continual growth. We outgrew four production facilities. We went from one oven to six. We started with one little mixing bowl and now have six huge mixers. We built a successful wholesale division and added dozens of new items to our product line. We began with two staff (Jacques and Annemieke) and now have a team of over twenty. Even Paul, who started in the bakery when he was smaller than a bag of flour, grew to be over six feet tall. With our new production facility opening in 2003, we also felt that we had overgrown our name. dpb Baking Company was born. It symbolizes our past as the Dutch Pastry Boutique and leaves lots of room for all the growth yet to come. dpb Baking Company offers the finest products that are the result of our commitment to making the highest quality products in the industry. 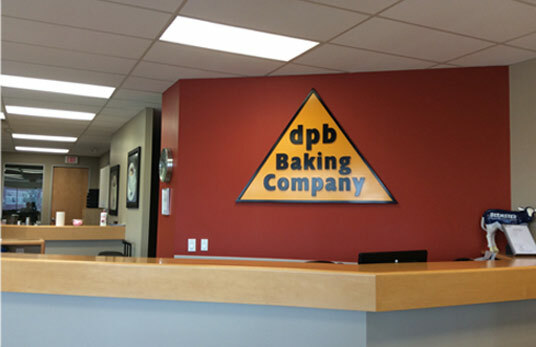 dpb Baking Company is a premier manufacturer of high quality baked and ready to bake goods. The management team is dedicated to being innovative by being unique. All team members are committed to the highest level of food safety through HACCP principles. Innovation, partnership with customers and staff, and, most of all, a passion for baking, guide the company’s vision of the future.